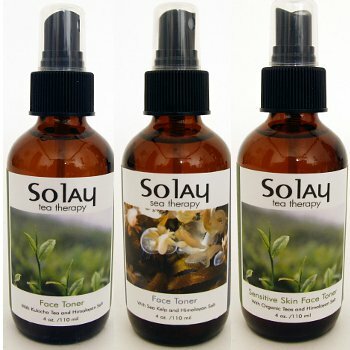 Re-invigorate your skin's natural vitality, shrink pores and re-hydrate your skin. Using a toner as part of your natural beauty routine helps re-balance the pH levels of your skin, and allows moisturizers to be better absorbed. We combine the minerals, nutrients, and anti-inflammatory properties of Kukicha Tea, Sea Kelp or Organic Teas with Himalayan salt to give you beautiful looking skin and reduce the signs of aging.